I have wavy hair that isn’t thick or thin. I use a wide tooth comb to comb my wet hair, then use a round brush when blow drying. I tried it on both wet and dry hair. It works well for wet hair and slides right through! On dry hair, it didn’t seem to work any better than a regular brush, and I’ll stay with my wide-tooth comb when dry. I will use it when my hair is wet, though! I use Facebook videos mostly, and some Instagram. I especially like when someone includes a video showing how the product works. My sister is always looking for hair inspiration. I will share this product with her because I’m vacationing with her this week. I like the separate hair tines, and that each are flexible on their own. It helps them to glide through my hair. 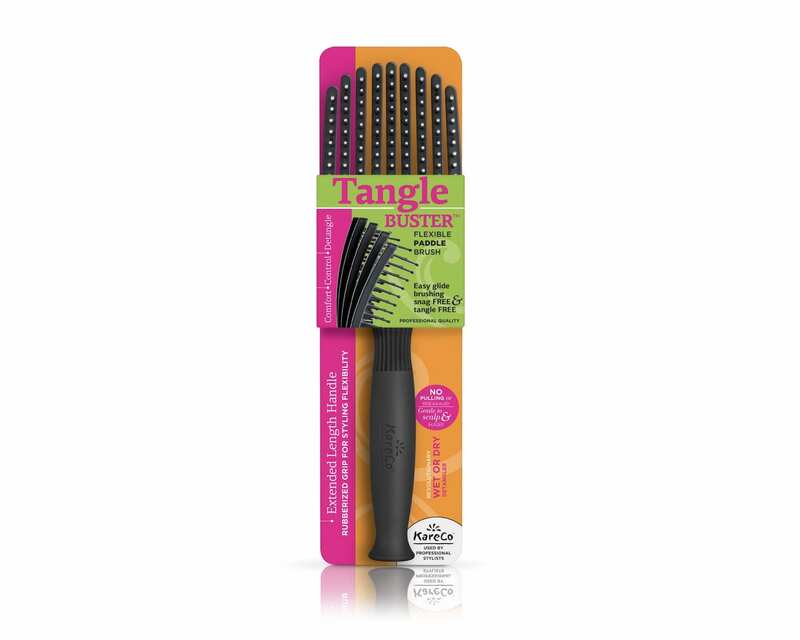 This brush works great on wet hair and I plan to incorporate it into my daily routine!